"Since I founded the company over 40 years ago, I have always sought to create value, first for clients, second for the company and third and last, for shareholders. 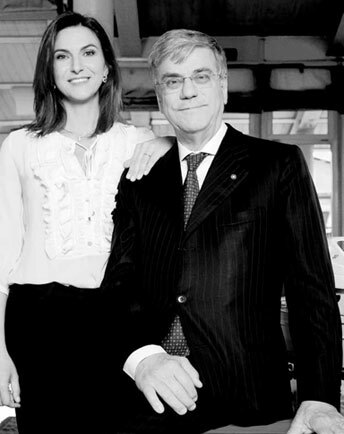 This unique situation in the nautical sector means that we can invest every day in innovation and technology, we can develop new models and further refine the services we offer our clients"
Azimut Yachts came about in 1969, when the young university student Paolo Vitelli founded Azimut Srl, and began chartering sailing boats. In 1970 some prestigious yachting brands appointed the company to distribute their boats in Italy. Azimut quickly expanded its operations: Apart from distribution, it began to design new yachts. In a joint venture with Amerglass, it designed the AZ 43’ Bali, a mass-produced fibreglass boat, which was an immediate success. The company gradually expanded its range, focussing on the lower end of the market - with the launch of the AZ 32’ Targa in 1977, the “Ford T” of the boat world - and upper end too - (with the memorable début of the Azimut 105’ Failaka in 1982, the biggest mass-produced yacht in fibreglass at the time). In 1985 Azimut acquired Benetti. This historical brand, based in Viareggio, had been building boats since 1873, and designed the concept of the megayacht. Azimut was now able construct its own yachts, defining new style and industry standards that would go on to revolutionise the boat building industry, such as: large frameless windows, electric seats, and walnut interiors.